On the 21st December 1823, Dr John Rogerson died at Dumcrieff. He indeed, it could be said, had been one of the men who had well served Catherine the Great as her personal doctor and confidante for more than half his life. Janet Johnston, wife of Samuel Rogerson, gave birth in lower Annandale on 22 October 1741 to a baby boy at their cottage in Lochbrow near Lochmaben. Four days later, the child was baptised and named John. With the passage of years, John had grown to be a likeable and intelligent young man, aware of the daily concerns of his tenant farmer family. At the same time, he was benefiting from contacts and relationships with people in other walks of life. As a teenager, he was a frequent and welcome visitor to the Clerk family who had acquired in 1737 Dumcrieff as their summer house. He was observing their efforts to improve the property, add more rooms to it and generally improve its interior and in the grounds, to repair fencing and dyking and to create a plantation of forest trees. John must have been saddened when his good friend, George Clerk had to close his linen factory in Dumfries and sell Dumcrieff in 1782. At home, the news from Russia was that John’s Uncle James Mounsey was doing very well and was now a doctor. Mounsey availed himself of the opportunity to attend lectures at Paris University and eventually while in Paris emerged with a medical qualification. After five years with the Navy, he opted for private practice in Saint Petersburg where eventually he was appointed as private doctor to the obese Empress Elizabeth. After her death, Peter III awarded Dr Mounsey the rank of Privy Councillor. The unfortunate Peter was soon removed from the throne and was replaced by his wife Catherine II, who was to gain glory later as Catherine the Great. The change of sovereign was the main event of 1762. Mounsey retired and returned to Scotland wealthy and built himself the luxurious mansion of Rammerscales, near Hightae. Mounsey’s return gave John Rogerson, by then a student of Medicine in Edinburgh, the chance to discuss with his uncle in great detail the situation and prospects in Russia. He was encouraged to seek a career there. 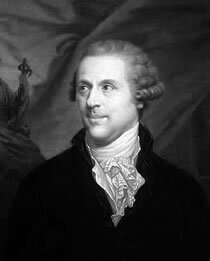 Soon after obtaining his medical degree in 1765, he too left for Petersburg via Elsinore in Denmark, arriving in the Russian capital some time in 1766. On 5 September 1766 he was interviewed by a three member Committee and gained his permit to practice medicine in Russia. Following that, an Imperial “ukaze” appointed him as “Court Doctor” in February 1769. His next task was to learn Russian. He quite easily learned to speak it, but his writing of it was bad. However, he won widespread sympathy among the nobility of St Petersburg. Dr Rogerson paid several visits to Scotland from his post in Petersgrad. Two of the visits were connected to formal occasions: in 1782 he became a member of the Royal College of Physicians of Edinburgh. Four years later he was to receive in Dumfries the Freedom of the City. Other, unrecorded, visits were to see his father and relatives, but also to look for farm properties to buy. The aim was not to derive personal gain - which he did not need. Rather, he wished to provide opportunities for his son and “to make a difference” to the lives of as many as possible tenant farmers like his father. The first recorded purchase by Rogerson was Gillesbie Estate in 1782. 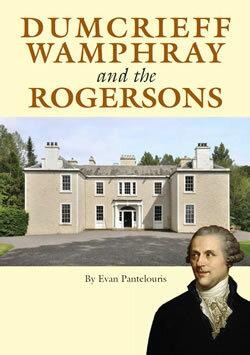 The most expensive was the large Wamphray estate which cost him £90,000, a very large sum in 1810. But it was in 1805 that he bought Dumcrieff (www.dumcrieff.com). Rogerson must have seen the chance to secure for his retirement a wealth of happy memories. As a young man Rogerson was a frequent visitor to Dumcrieff because of his friendship with the owners, Sir John Clerk of Penicuik and his son George Clerk-Maxwell. In 1819 Dr. Rogerson was already some 78 years old and was, at last, organising his departure from Petersburg. He entrusted his nephew Alexander, who was employed by Messrs J. Thomson, T. Bonar & Co, with two tasks: the sale of his house and to take care of his ’serfs. Dr John Rogerson did not need to take with him to Scotland the strong and much praised carriage that the renowned coach maker Alexander Crichton in Edinburgh had built for him on order and delivered in St Petersburg some years ago. After all he could get a new one locally!